Aichi prefecture: A place of manufacturing and home to headquarters of major machining tool manufacturers like Yamazaki Mazak and Okuma as well as automobile titan Toyota. From major companies to smaller scale businesses, this is a land where numerous manufacturers are in a constant state of competition. For over 35 years, Mikasa Electrician Department has been designing and manufacturing control panels in this exact place. In addition to its strengths of quick delivery and production of control panels of smaller sizes and lower costs, in recent years, the company has been broadening its collaborations with machine manufacturers of Europe and the US. Through gaining knowledge and knowhow in the overseas standards, Mikasa Electrician Department is the bridge between Japan and the rest of the world. 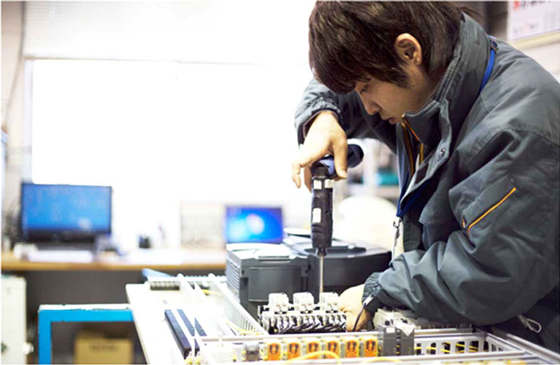 Mikasa Electrican Department aims at being the very best in the control panel industry. 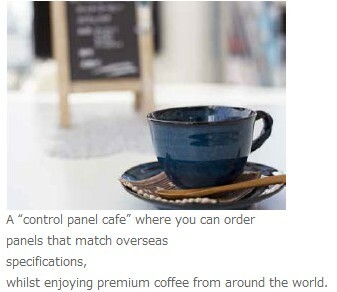 Being the one Japanese control panel manufacturer to own the domain of controlpanel.com, the company has been running the site for the past 10 years. Having incorporated direct response marketing early on, Mikasa has created a very sturdy foundation of clients. What these clients are most interested in over recent years is the company's expansion overseas. 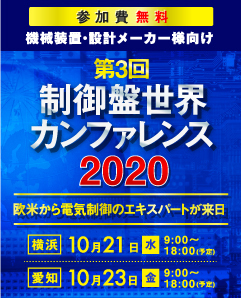 Shigeki Ishida, the President of Mikasa Electrician Department headed to Hannover, Germany in April 2012 in order to visit the world's largest industrial technology trade fair, Hannover Messe. 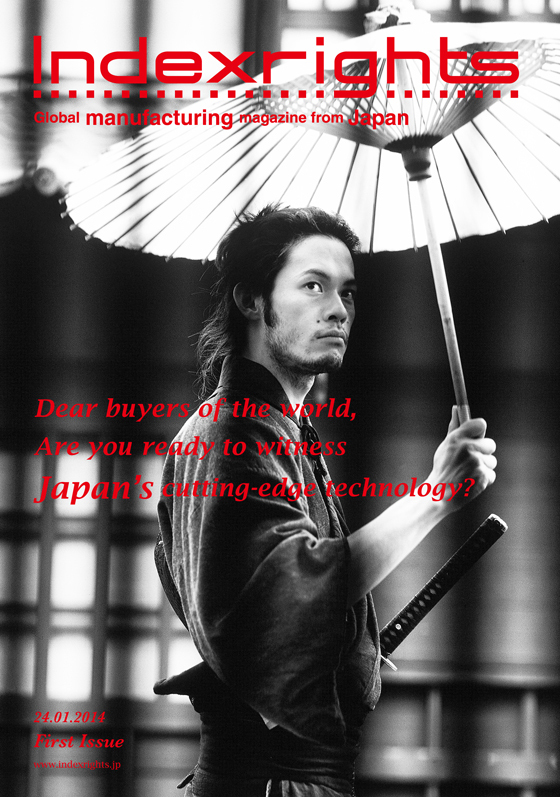 There, he went around asking foreign machine manufacturers for their needs from Japanese manufacturers of machines and devices. There he felt the importance of adhering to foreign standards of North America and Europe; the destination of Japanese machines and devices. European and North American users give priority to the safety of the machine operators. High performance of the product is a given. Mikasa Electrician Department must move to remove the barrier between Japan and the overseas world by adhering to foreign standards. With these thoughts in mind, President Ishida had his engineers study foreign standards. In January of 2013, the company started its business with the German control design and manufacturing company Automation Consult GmbH & Ko.KG. (Based in North Germany. Headquarters: Eleonorenring 6, D-26169Friesoythe Representative: Frank Berger.) The company also started business with the American control manufacturer IST Engineering of Silicon Valley in October of 2013. (Based in Silicon Valley. 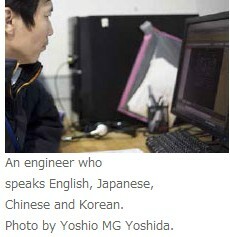 Headquarters: 881 Yosemi te Way Mi lpi tas ,CA 95035 Representative: James Pak) Mr. Ishida was able to strengthen the company's control designs adhering to foreign standards in both areas of hardware and software. 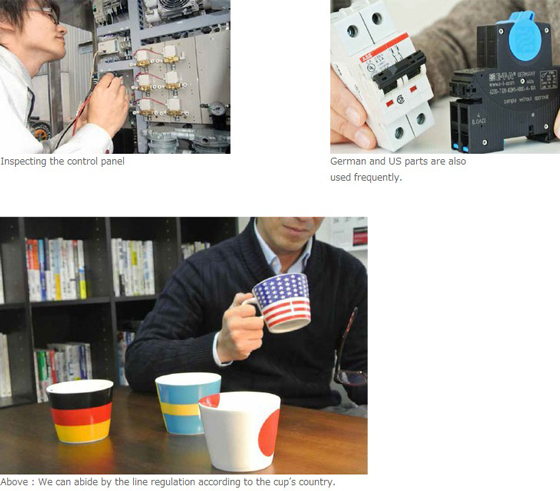 Machine and device manufacturers in Japan that Mikasa Electrician Department was supplying had problems in having to follow standards such as UL, CE, and CCC when exporting overseas, as well as building complex safety circuits and control programs for Europe. However, because Mikasa Electrician Department built stronger ties with foreign businesses, the company can handle anything. "There are almost no other control panel manufacturers who have such detailed knowledge of both Japanese and foreign standards" says President Ishida, speaking of the company's strengths. The company is currently working in assisting Japanese manufacturers of machinery and equipment in exporting overseas, but Mr. Ishida says he would also like to support foreign companies exporting products to Japan in the future. A one-off mainframe. Photo by Yoshio MG Yoshida. Mikasa Electrician Department first ventured overseas 9 years ago. Without any prior knowledge, they moved to create a production base in the rapidly growing China, known as the world's factory. Having experienced challenges unique to overseas ventures such as maneuvering funds and seeking partners, the company currently holds a production base in Tsingtao, where they work with Chinese branches of Japanese manufacturers by filling orders, manufacturing, and adding parts. For Japanese clients, they produce goods at lower costs by using casings, brackets, harnesses and electrical components procured locally. Needless to say, one of the strengths of Mikasa Electrician Department is its accomplishments built over 30 years in Aichi prefecture: the gathering place of Japanese manufacturers. Having accumulated 30 years worth of data on factors causing errors, the company has an abundance of design knowhow as well as a high level of manufacturing technology. For large quantity productions of over 5 units per month, they can work with quick delivery time, and high cost performance. 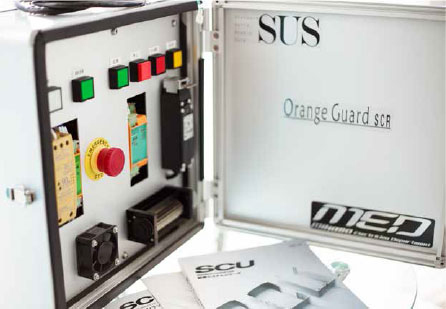 Furthermore, they are skilled in creating single control panel units with specific features unique to the unit. Their versatile services ranging from control design, control panel manufacturing, and electrical work will allow for major cuts in troublesome meetings, production costs, and indirect costs, by offering everything in-house. While dealing with overseas expansion, Mikasa Electrician Department holds another mission: The reconstruction effort in Fukushima. On the fateful March 11th of 2011, the Great East Japan Earthquake hit Japan, leaving 15,884 dead, 6150 injured, and 2640 missing. A month after the disaster, President Ishida had traveled to Iwaki city of Fukushima prefecture, 50 kilometers south of the Fukushima No.1 Nuclear Plant, which had malfunctioned due to the Tsunami. He was there to open a new factory. Before the disaster, President Ishida had planned to spread forces to Thailand after China. However, halting the plan, he relocated funds for Thailand in order to build a factory in Iwaki. At the time, it wasn't clear how the economics would move after the disaster; the risk of moving to the northeast region was not small by any means. However, sending supplies and money is relief that doesn't last. True long lasting relief can only come in the shape of job creation. This thought led to Mr. Ishida's decision, and today, Iwaki is home to a plant where three employees work in creating control panels. This plant is not only for production; it is also a site that will be used to develop products used to protect against disaster by compiling the employees horrific experiences as well as the needs of the affected area. As a first step, a Geiger counter specifically for reading radiation levels of the compressed air used in the factory. It is scheduled to be commercialized in mid 2014. Also, in response to pregnant women who are worried about the effects of radiation on their milk, the development of a device that would measure the amount of milk by checking the blood flow in the breasts, while at the same time measuring radiation, is also being planned. President Ishida wishes to clear the image of the Fukushima brand as the brand of sadness, instead renewing it and exporting it to the world as the brand of safety and comfort. Running around the world, managing bases in Aichi, Europe, North America, China, and the area stricken by disaster, Mr. Ishida speaks on his reasons for undertaking all of these challenges simultaneously. "One of the main functions of a control panel is to connect that power sources with equipment. While aiming for the top in that industry, we work in connecting Japanese and overseas markets, as well as connecting the disaster stricken areas with the world. Through these undertakings, I wish to create a network, a circuit that we can all benefit from." Presented by MED Copyright 2009 MED All Right Reserved Do not duplicate or redistribute In any form.